The new White House/VA Complaint Hotline went live on June 1st. The number is (855) 948-2311. By August 15th the service will be 100% active with 24-hour, live operator assistance. All calls will be confidential, but the information will be shared with the VA.
It’s out! 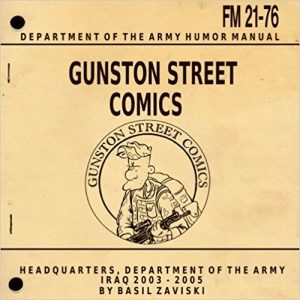 Basil Zaviski has published Gunston Street Comics as a book. Order yours from Amazon by clicking on this link. Gunston Street Comics – Iraq 2003-2005. Upcoming Regimental Events – 2018 – Mark your calendars and hold these dates. Look for more details in future mailings. 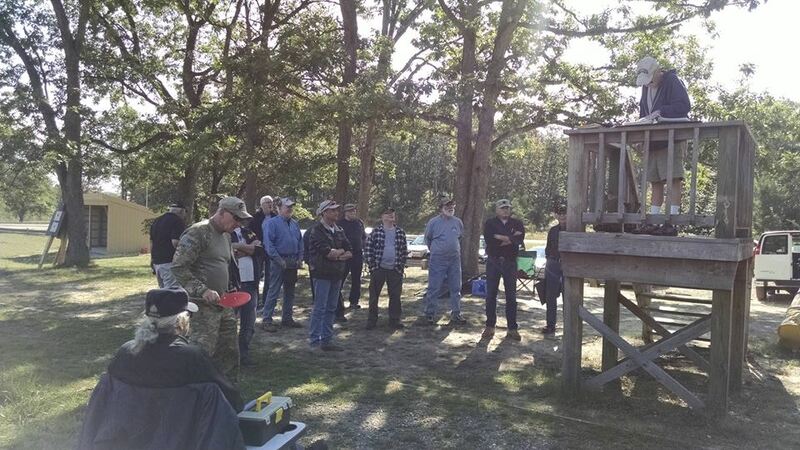 The Fourth Annual Regimental Rendezvous is currently under an extensive review. 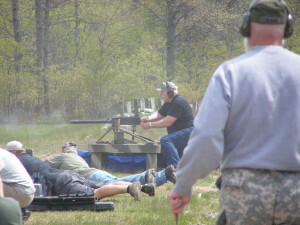 It will take place at Camp Grayling or Fort Custer. We are trying to get a date in early June, if not it will be in September again. We are totally at the mercy of the Grayling and Custer training site schedulers. This year members are welcome to come up on Friday night. We should have plenty of room. 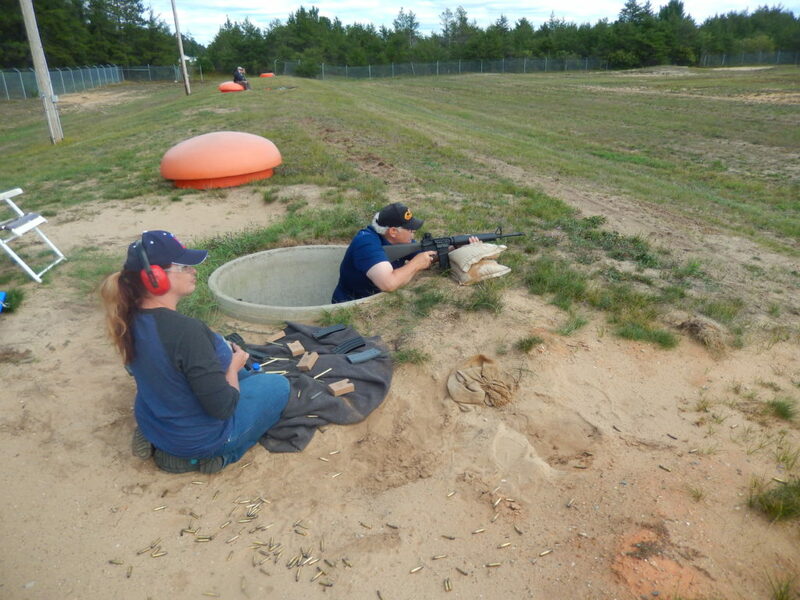 Plans are for range firing on Saturday with lunch on the range, a military movie fest on Saturday night, and a ceremony at the 425th Memorial Sunday morning. David Lincicome will be leading the charge for our parking project at the Willow Run Airport. It will be the weekend of 25-26 August 2018 and feature the USAF Thunderbirds. As in the past the Association will receive funds for our coffers in accordance to the number of volunteers we have working the parking concession. We have done well the past several years. The more volunteers we have, the more money we make. You can work both days or just one and get to see the air show for free. This year will feature the Blue Angels, so the crowds will be big. Workers will be provided with lunch and receive their choice of a free 425th Association hat, T-shirt or license plate. For more details or to volunteer contact David Lincicome at s4@425regiment.org or call him at (810) 560-4665. 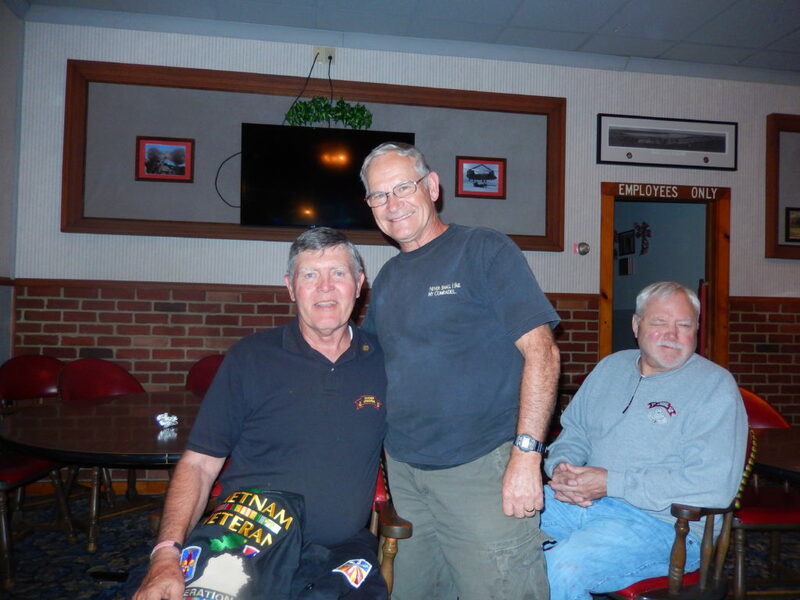 We plan to hold a Reunion Dinner at the Bruce VFW Post in October (Date to be determined) The estimated cost will be $40 per person. This will be a catered buffet dinner with an open bar. This is NOT a formal Dining Out, but an informal “Reunion Dinner.” We hope that this will be an opportunity for both members and their wives to enjoy the camaraderie of Company F.
We had a great plan with a guest speaker who had commanded Special Operations Forces in Afghanistan, and then he got recalled back to his unit and couldn’t make it. What did we do? We did what Rangers do best and improvised. SFC (ret) Bill Poynter came forward and spoke about how the two companies got joined together as one, a dynamic merger if there ever was one!. 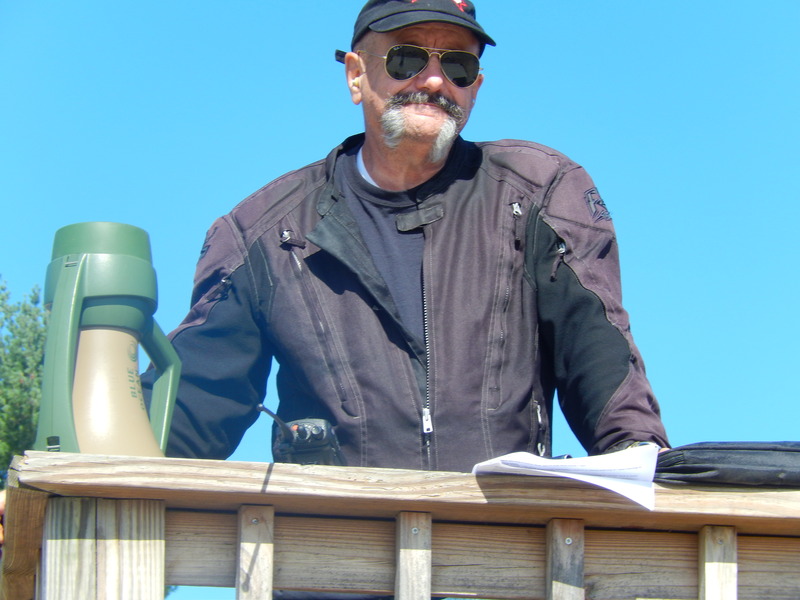 MSG (ret) Steve Mrozek spoke about paratroopers in general, and their histories. About how the Germany messed with the idea in the 40’s, and how the first parachute was invented in France in the late 1800’s. 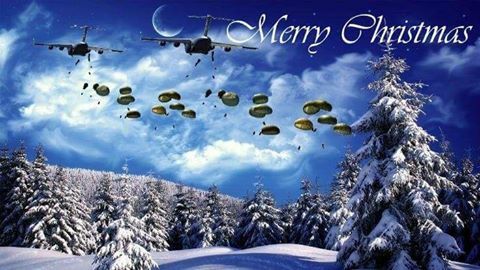 The idea may have originated in Europe, but it was the US that instituted the first successful Airborne Division in the military. The food was good and plentiful, and while there wasn’t as many attending as we may have wanted, there was a good selection. We presented the colors, passed out certificates of achievement to the members who have served in various functions during the year, recited the Regimental Prayer, had dinner and drinks, had a good time, then retired the colors. Guys, this is a great time, a fun event, and a chance to stay in touch before you lose contact with each other. Look for more to come on the Dinner for 2018. 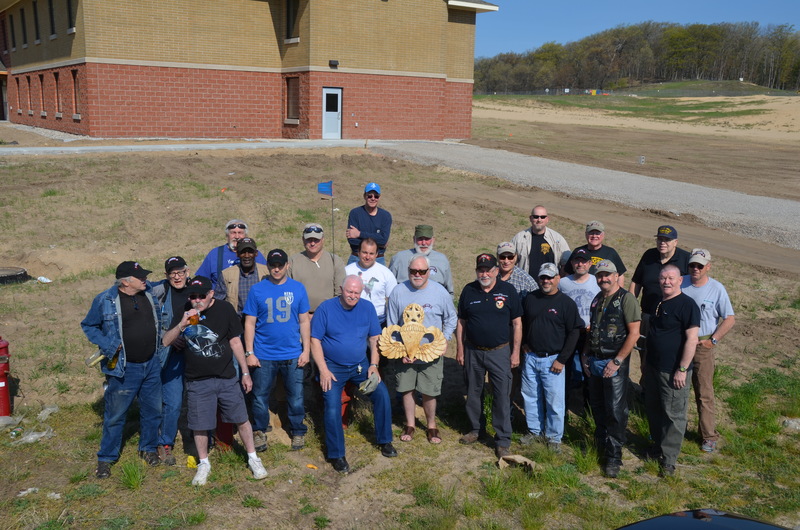 The 2017 Regimental Rendezvous was another success. We encountered a number of new obstacles and tried some new things, and it all worked out in the end. 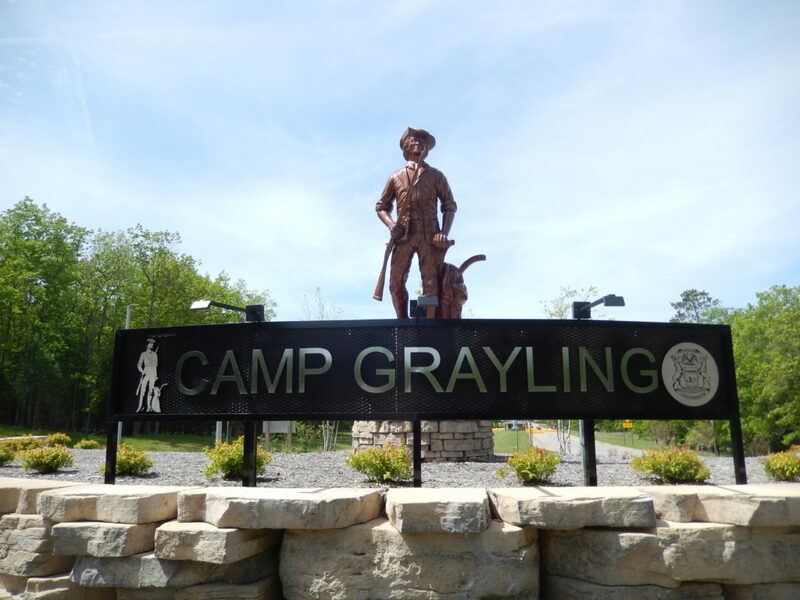 The biggest obstacle was that Camp Grayling has turned Building 656Q from a chargeable quarters building into a barrack. This made it more difficult to schedule and the accommodations were not a plush as they had been in the past. Based on the availability of Building 656Q, we scheduled the Rendezvous for September instead of May. Our less than expected turnout may have been a result of this decision as some of our members told us that they were tired up with fall sports and school activities. We also opened the schedule to allow members to arrive on Friday afternoon/evening. 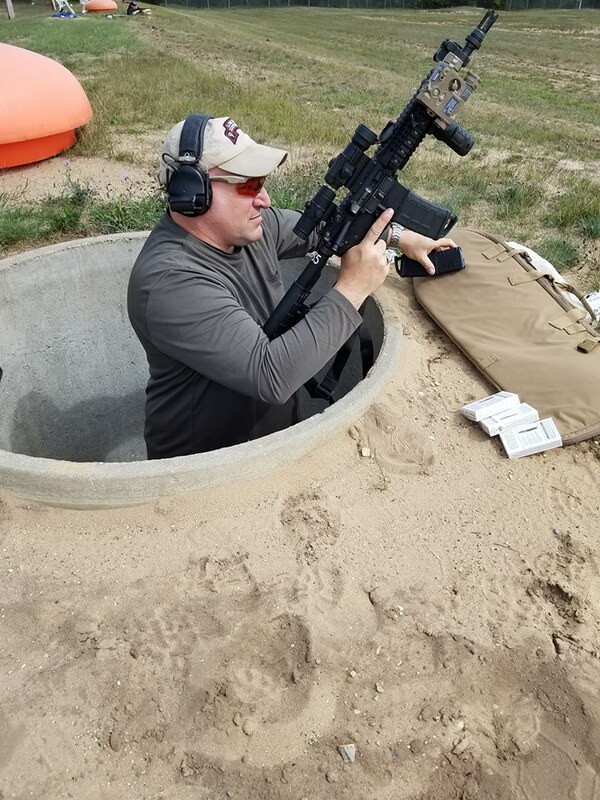 The time on the range was as enjoyable as ever. The Big Ranger in the Sky cooperated by providing beautiful weather for the weekend. 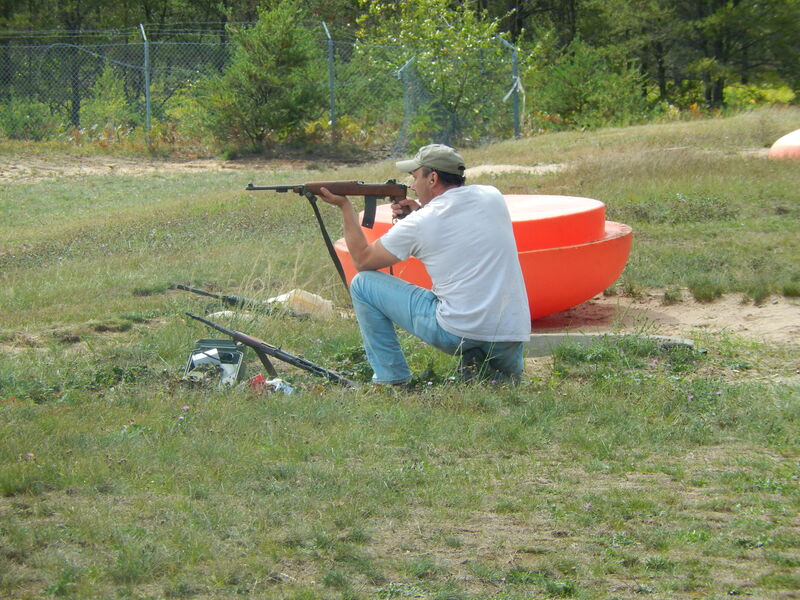 We again used Range 3, a 25-meter range. 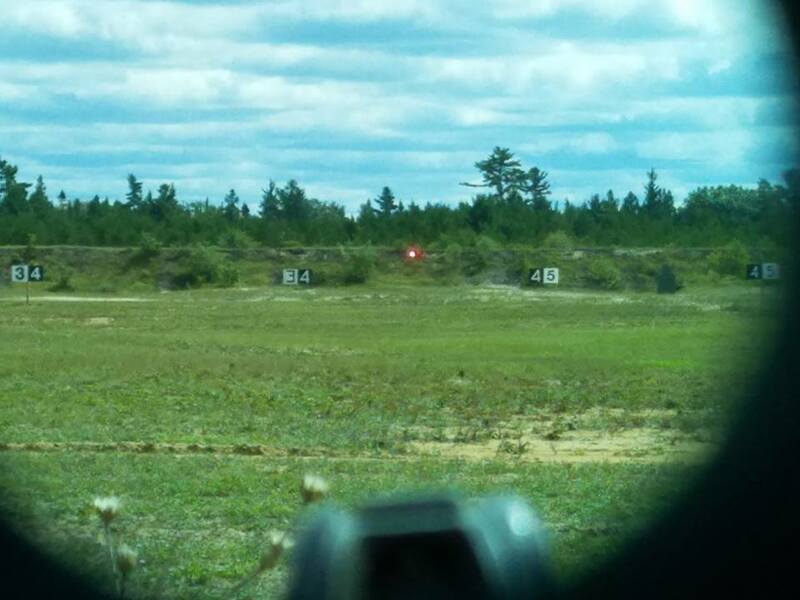 Some members have asked about using Range 10, an automated record fire range; however we again chose Range 3 for several reasons. 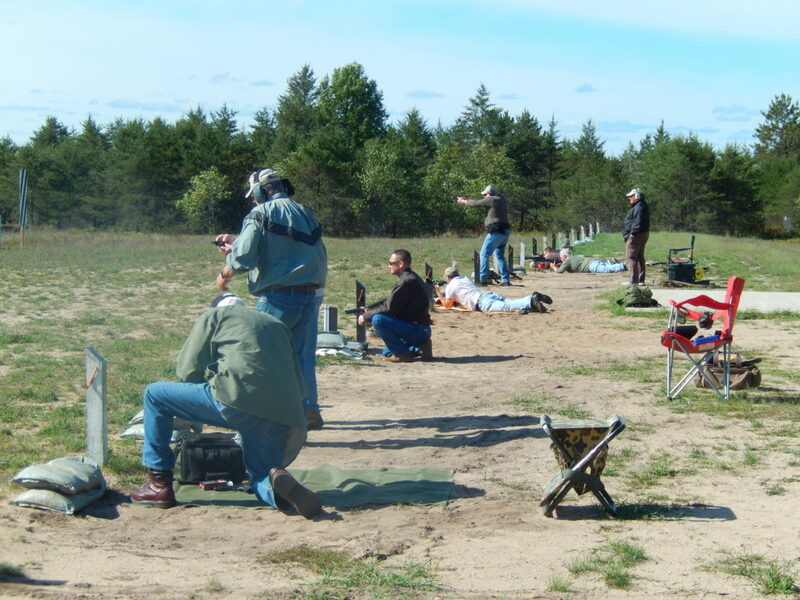 This range can be run with a minimum number of range personnel allowing more of our members to shoot on the range, rather than running it. A 25-meter range allows use the flexibility to fire handguns and rifles at the same time. 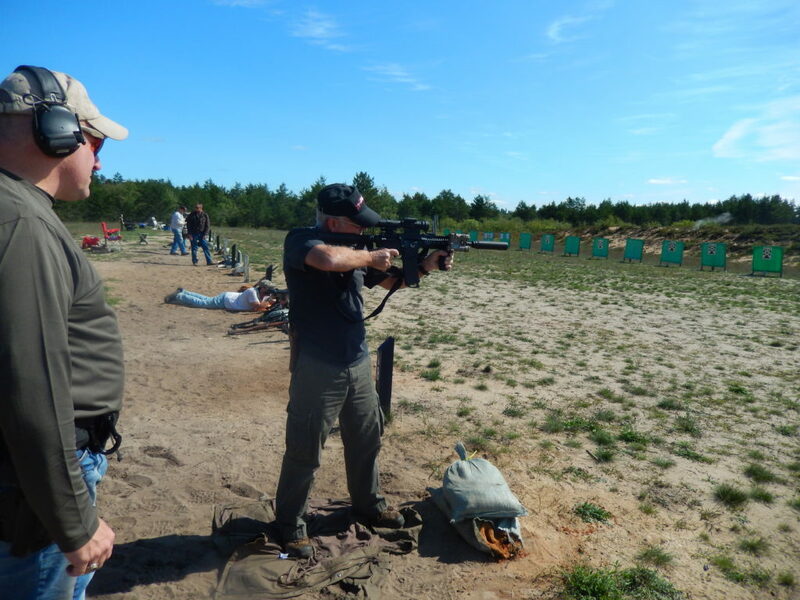 Range 3 allows us to put more people on the firing line at the same time, increasing the amount of time people have for shooting, rather than waiting for their turn. Bill Poynter, once again, entertained everyone by bringing his A3 .30 caliber machine gun. This is actually a semi-automatic version, but equipped with a hair trigger, so it is “almost” a machine gun. In the afternoon, everyone had the chance to visit the PX and Class Six store, before we went to the Officers Club for dinner. At the Club, Merry Meredith and her staff provided our members with a great meal in a historical setting. The Officers Club was the residence of Rascom Hanson, who donated the land for Camp Grayling to the National Guard back in the 1913. 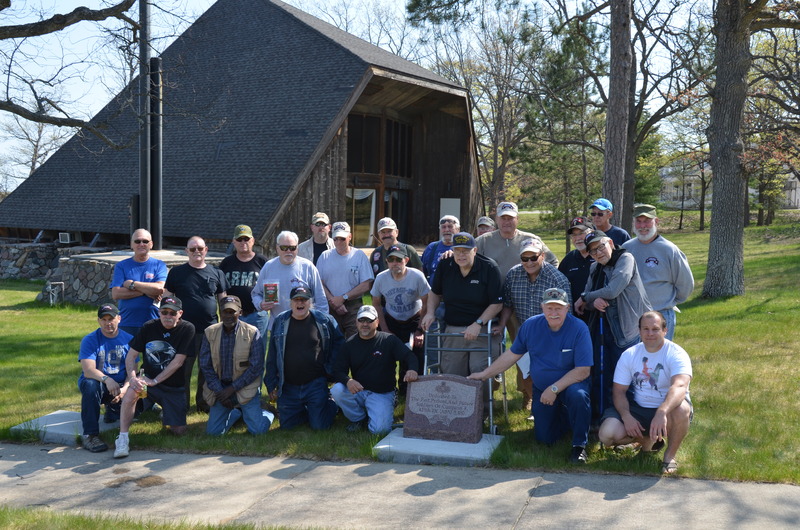 It has been the Officers Club since Camp Grayling was established. Military veterans who served in any branch of the U.S. armed forces and have an honorable or under honorable conditions (general) discharge may have a veteran designation printed on their Michigan driver’s license or state identification card. Qualifying services include the U.S. Air Force, Air Force National Guard, Army, Army National Guard, Coast Guard, Marine Corps and Navy, as well as their Reserve components. Contact the Michigan Secretary of State office for more information. What is the VA Veterans Choice Program? The Veterans Choice Program is a new program to improve Veterans’ access to health care by allowing certain Veterans to elect to receive health care from contracted providers outside of the VA.
Can I call my Non VA doctor to make an appointment? No, please call the Veterans Choice Program at 1-866-606-8198 to set up an appointment. Veterans will be guided on the follow up process needed by the CHOICE Health Net administrators. How to contact the Choice Program? 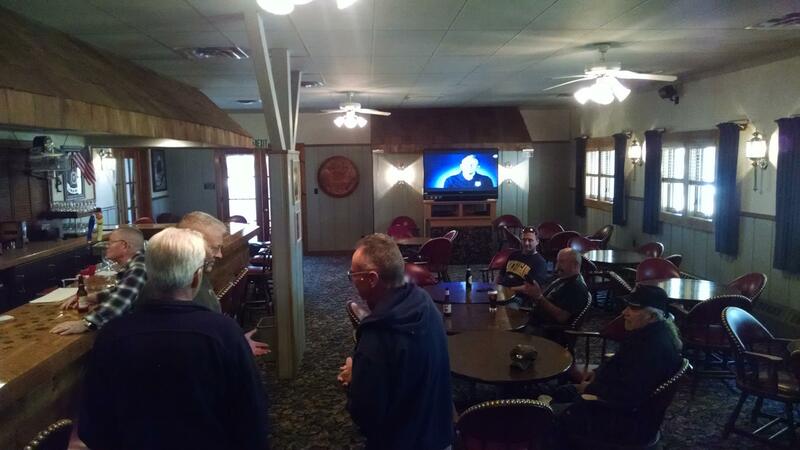 Because they had removed the big refrigerators from the building, we explored having our meals at the Camp Grayling Officers Club. This range can be run with a minimum number of range personnel allowing more of our members to shoot on the range, rather than running it. A 25-meter range allows use the flexibility to fire handguns and rifles at the same time. 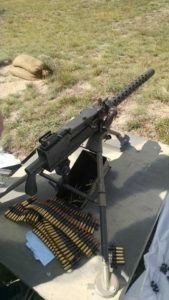 Bill Poynter, once again, entertained everyone by bringing his A3 .30 caliber machine gun. This is actually a semi-automatic version but, with an agile trigger finger, it is “almost” a machine gun. 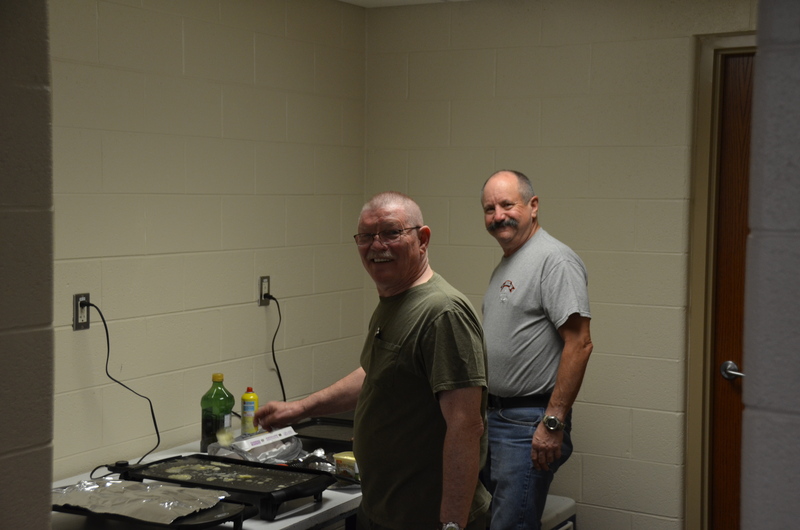 Phil Griglio continued his performance by providing breakfast on Saturday morning and lunch on the range. In the afternoon, everyone had the chance to visit the PX and Class Six store, before we went to the Officers Club for dinner. At the Club, Merry Meredith and her staff provided our members with a great meal in a historical setting. Rasmus Hanson, one of the state’s lumber barons donated the land for Camp Grayling to the National Guard back in the 1913. 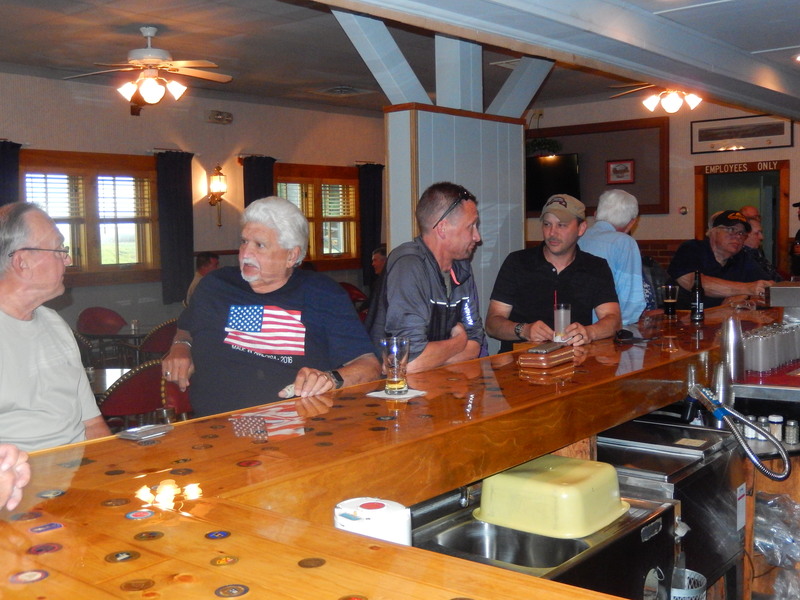 The Officers Club was built in 1917 and has been a focus of military social activities since then. The rest of the evening was spent watching “A Bridge Too Far” and “The Great Raid,” the story of the rescue of American POWs in the Philippines by the 6th Ranger Battalion in WWII, and telling jump lies. 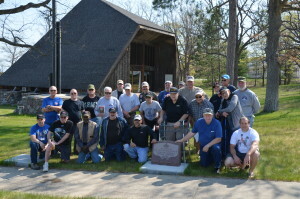 After cleaning and clearing the building on Sunday morning we had a wonderful breakfast at the Officers Club and conducted a brief service at our Company F Memorial near the Camp Grayling Chapel. The Association would like to thank the volunteers that worked so hard to make this year’s Rendezvous a success. 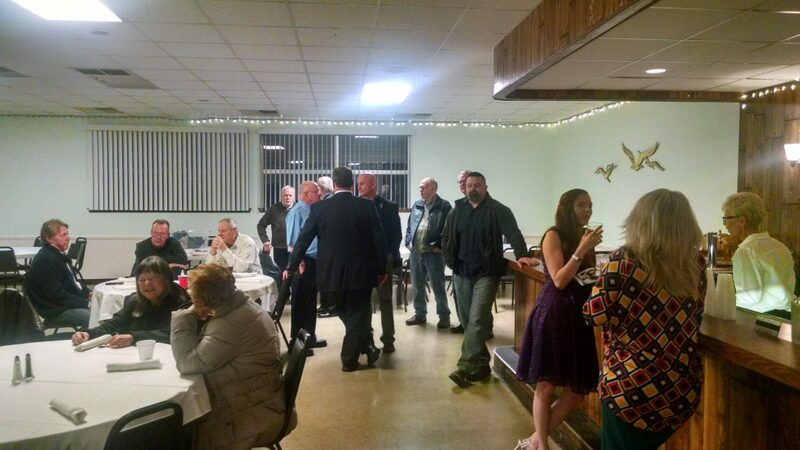 Our next big event will be our Annual Reunion Dinner at the Bruce VFW Post on November 18, 2017. If you couldn’t attend the Rendezvous, don’t miss the Reunion Dinner! The Third Annual Regimental Rendezvous will be held at Camp Grayling on 8-10 September 2017. The cost for the weekend is $49 per person to underwrite the cost of the building, range, and meals. We have made arrangements for quarters in Building 656Q in the old “Tent City (600 area)” for Friday and Saturday night. These rooms will be first come, first served. 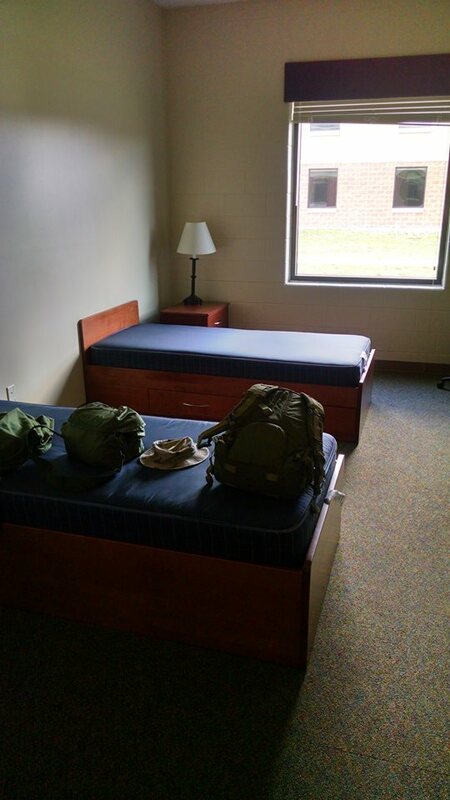 Once all rooms have been assigned you will need to find lodging somewhere else in Grayling. These rooms have two twin-sized beds and private bathroom. Quarters and all meals are included in the registration fee. Arrive at Camp Grayling. No meals will be provided on Friday. 1000 – 1200 Move to Range 3. 1500 – 1800 Free time to hang out at Building 656Q, visit the PX, etc. 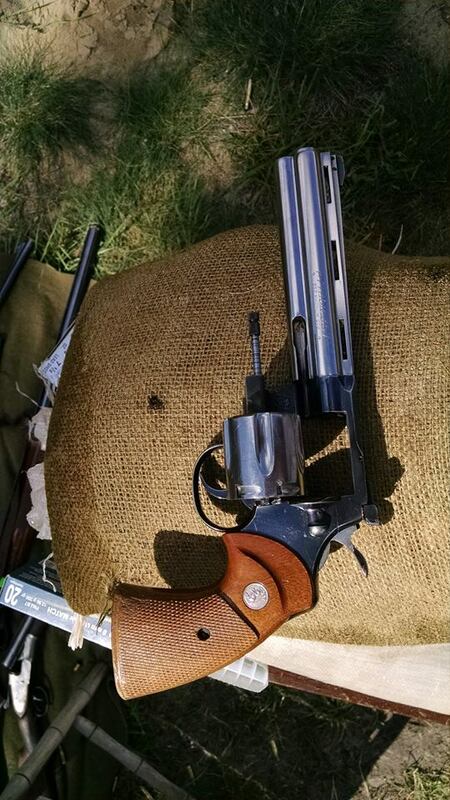 Information on the range and how to bring personal weapons on post will be provided in a letter of instructions. This will be sent to all who register. There are no refrigerators in Building 656Q. Reservations must be made NLT 31 Aug.
Upcoming Regimental Events – 2017 – Mark your calendars and hold these dates. Look for more details in future mailings. David Lincicome will be leading the charge for our parking project at the Willow Run Airport. It will be the weekend of 2-4 Sep (Labor Day Weekend). As in the past the Association will receive funds for our coffers in accordance to the number of volunteers we have working the parking concession. We have done well the past several years. The Third Annual Regimental Rendezvous will take place at Camp Grayling on 8-10 Sep. This year members are welcome to come up on Friday night. We will be using Building 656Q and will have plenty of room. 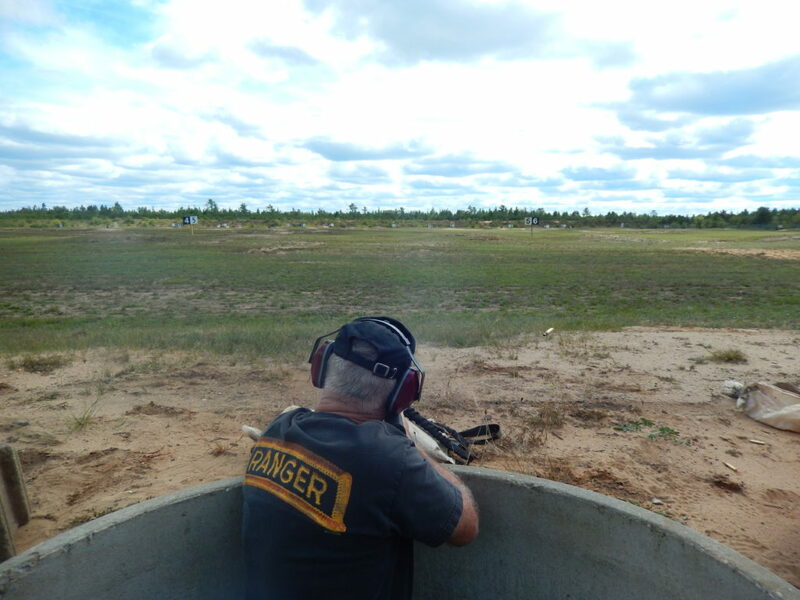 Tentative plans are for range firing on Saturday with lunch on the range, dinner at the Camp Grayling “O” Club, a military movie fest on Saturday night, and a ceremony at the 425th Memorial Sunday morning. 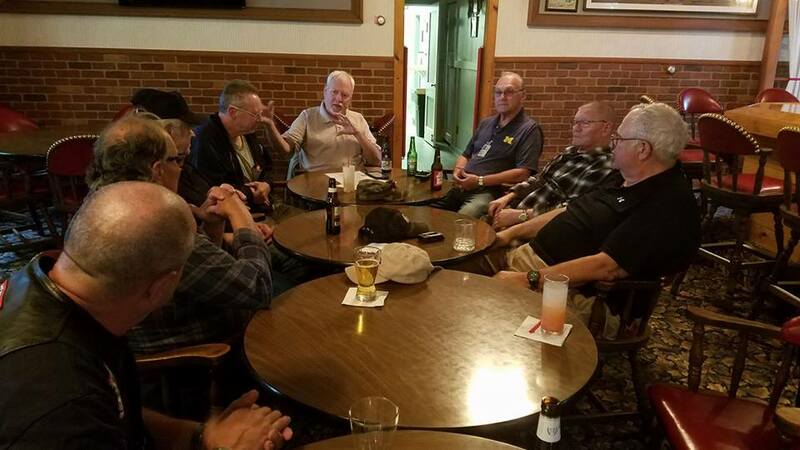 We plan to hold a Reunion Dinner at the Bruce VFW Post in October (Date to be determined) The estimated cost will be $35 per person. This will be a catered buffet dinner with an open bar. 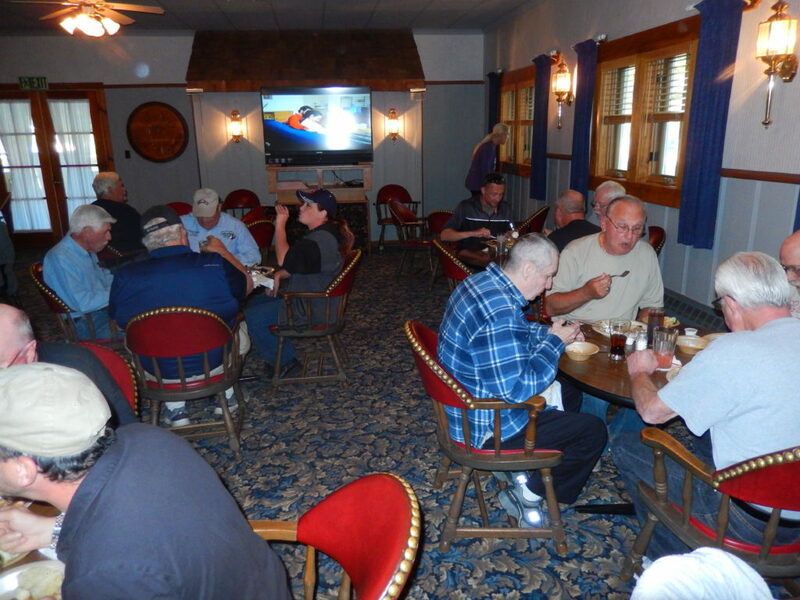 This is NOT a formal Dining Out, but an informal “Reunion Dinner.” We hope that this will be an opportunity for both members and their wives to enjoy the camaraderie of Company F.
Two men who know the struggle wounded warriors endure are reaching out to offer help. 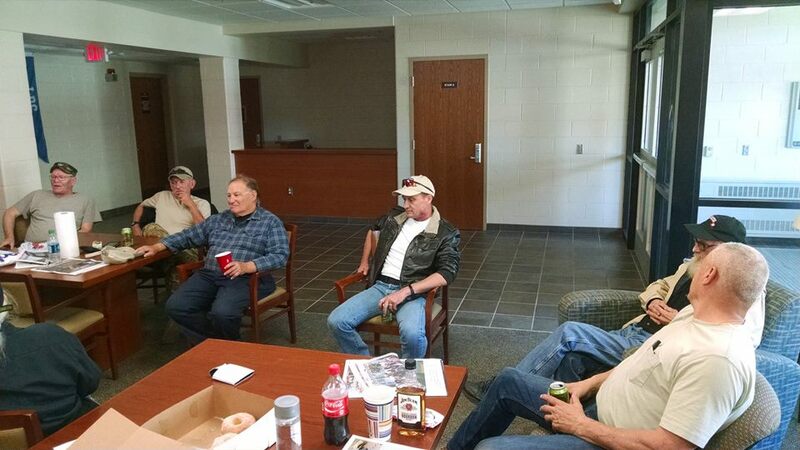 They’re in the process of converting a Flint house into a place veterans can stay and get back on their feet. “We can assist in certain indescribable issues that only others have faced. There’s no name for it. It’s like the shadow in the corner. 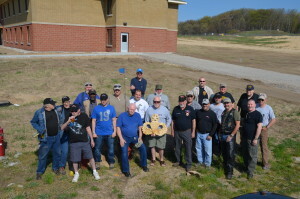 We don’t know what to call it, but it’s there,” said Tobias Lerke, of the Veterans Wounded Warrior Foundation. The home they are working on is in the College-Cultural area of Flint. There are six bedrooms in the 90-year-old house and they hope to have them fixed up and furnished during the next few weeks. The two men have been making the house as energy efficient as they can. They have switched the lights over to LEDs and have been making the house as draft-free as they can. Toilets have been made low-flow and Retro Foam insulation will be added to the walls and attic. That will help keep the utility bills down so the home will be more affordable. They don’t plan to charge the veterans until their guests are financially stable. When the first veterans arrive, the two men will provide counseling and help them enroll in the University of Michigan-Flint or Mott Community College. 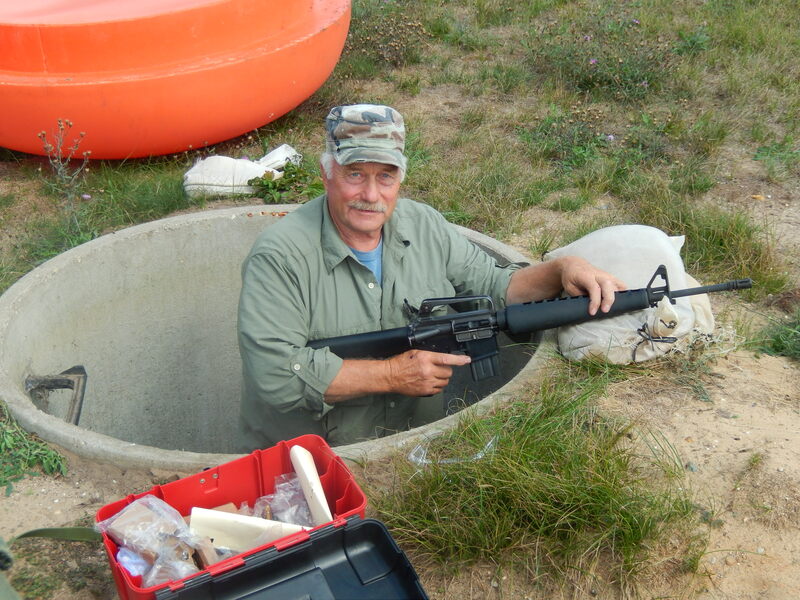 “We’re just trying to get the home operational. We’re just trying to get it the most optimal healing place, the best air quality, water quality. The best set-up for natural healing,” Lerke said. “I want this place to be a pillar, like a salvation. A place like a holy Mecca, if you will, so they can come here and feel extremely welcome, they know we’re going to help them once they’re here,” said Markeice Patrick, with the Veterans Wounded Warrior Foundation. With help from Consumers Energy and the home improvement stores, the two have been able to find some inexpensive items that will lower their energy bills a lot. Call the Veterans Wounded Warrior Foundation at 248-215-1488 for more information. With the return of spring weather, the Selfridge Military Museum and Air Park will soon once again be open to the general public. The museum and air park will be open from noon to 4:30 p.m. on Saturdays and Sundays from April 1 to Oct. 29. It will also be open on Independence Day and Memorial Day. Visitors to the museum and air park will see more than $7 million worth of displays. The site features more than 30 military aircraft, all with a Michigan connection, and thousands of artifacts. Displays include a full-scale historically accurate replica of a World War I fighter plane, the SPAD XIII, a three-quarter scale historically accurate replica of the Wright Brothers first aircraft, the “Wright Flyer,” an interactive cutaway and motorized World War II aircraft engine, an interactive air traffic control radar display, an extensive display of original aviation art produced by noted aviation artists, a Korean War era “Jeep” and four aircraft cockpit trainers: a modern F-16 “Fighting Falcon,” a Vietnam-era A-7 “Corsair II,” a WWII LINK trainer that guests can sit inside of, and a functional LINK trainer that can only be operated by qualified individuals by appointment. Displays feature a variety of military memorabilia, including weapons, aircraft engines, military uniforms, military aircraft models and photographs spanning the 100-year history of the base. The air park contains 33 full-size vintage military aircraft from WWI to the present day, plus an assortment of military vehicles and missiles. The large C-130A “Hercules” and P-3B “Orion” aircraft in the air park can be opened up to visitors when weather and the availability of docents permit. Photographs of the interior and exterior displays are permitted for private non-commercial use only. All of the aircraft on display at the museum were either operated by the Michigan Air National Guard or by another military unit at a base in the state of Michigan. The museum and air park is located on Selfridge Air National Guard Base, accessible by vehicle only through the Main Gate at the intersection of M-59 and Jefferson Avenue on the south end of Chesterfield Township. For security reasons, guests arriving in a private vehicle driven by someone without a valid government identification card must register for a visitor’s pass at the base’s visitor’s center or main gate and be subjected to a background check. A current and valid driver’s license, vehicle registration and proof of vehicle insurance are required. The facility can also be opened by appointment at other times throughout the year by calling 586-239-5035 or emailing info@selfridgeairmuseum.org. 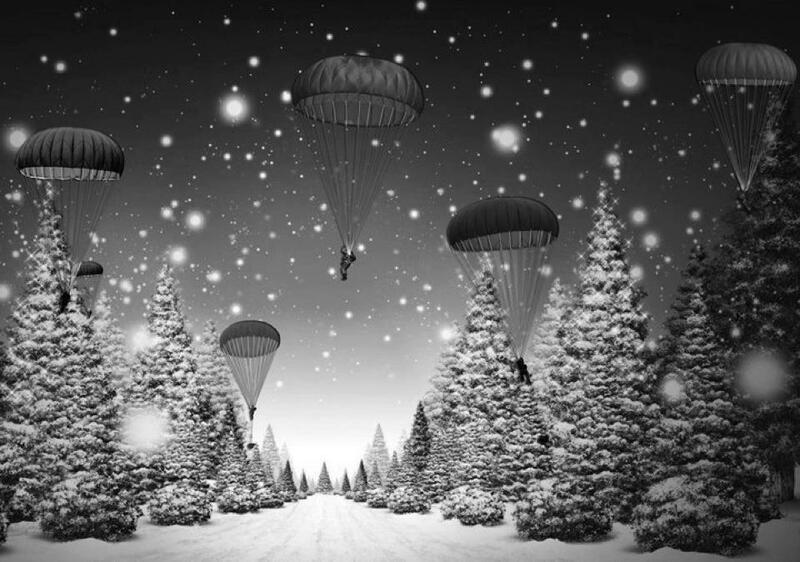 Perhaps a paratrooper, huddled here in the cold. Then he sighed and he said “It’s really all right. 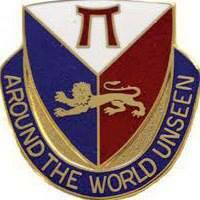 You are cordially invited to attend the 2016 Regimental Reunion Dinner. This is a great opportunity to renew past friendships and make some new ones. The Reunion Dinner will include a three meat buffet dinner, and an open bar. There will also be unit and association t-shirts, hats, coins, and other memorabilia on sale. 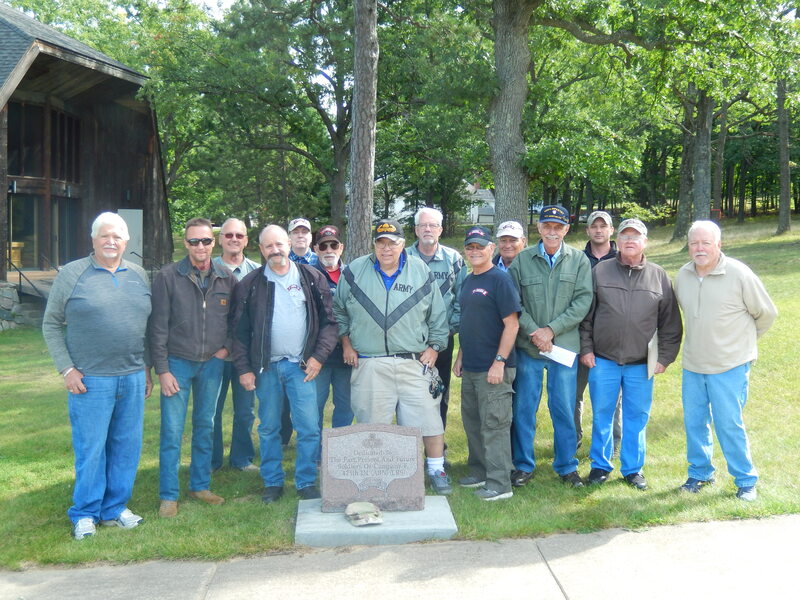 We are inviting some members of the original Darby’s Rangers who are active in the U.S. Army Ranger Association and the Michigan Ranger Base. They will not be formally speaking but will be available to chat with throughout the evening. The cost of this event is $35 per person. Payment must be made in advance NLT September 10, 2016. We have reserved a block of rooms at the Holiday Inn Express, Holiday Inn Express & Suites- Roseville, 31900 Little Mack Ave, Roseville, MI 48066 with a special rate of $94.00 per night. To get one of these rooms you must contact the Holiday Inn Express direct at (586) 285-5800 and tell them you are with the 425th Regimental Association. These rooms will be available until September 9, 2016. After this date you will have to pay the full prices.